Dans l’eau, un Run d’Exhibition aura lieu le 29 avril, quelques jours avant le départ de la Course le mercredi 2 mai ! Un évènement à ne pas manquer pour les amoureux de la mer ! The biggest boats. The greatest skippers. A Clash of Titans. 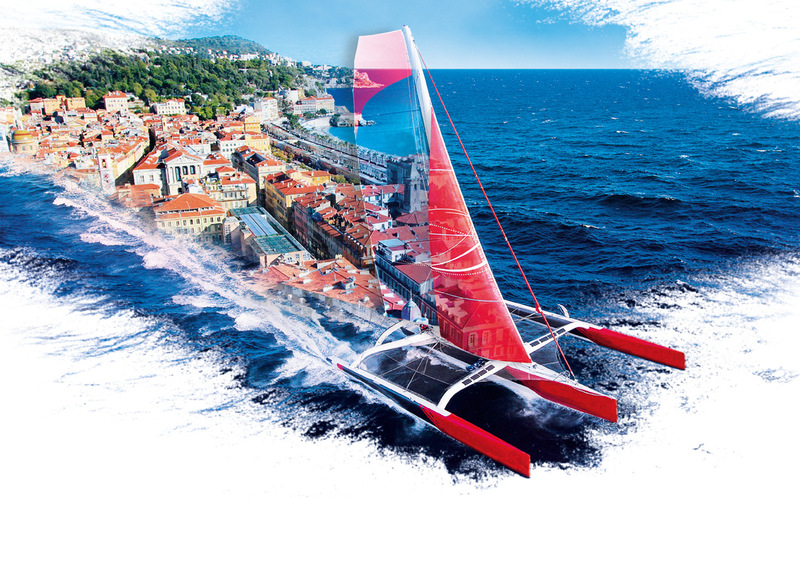 Nice will host a major sailing event from 28 April to 6 May 2018 —the most grandiose and ambitious such event the capital of the French Riviera has ever hosted: NICE ULTIMED. The XXL boat race will bring the best skippers in the world to the Mediterranean to command the largest racing boats in the world. Ultimate-class trimarans are true giants of the seas, designed to smash records across the oceans.